Uruguay is poised to create a state-licensed marijuana industry, as its legislature takes steps to approve a controversial bill detailing how the government would regulate marijuana, from its production and import to marketing and distribution. The move would be a first. NPR's South America correspondent Lourdes Garcia-Navarro tells NPR's Newscast unit that the landmark bill has made it through the lower house. It is expected to sail through the Senate, she says. 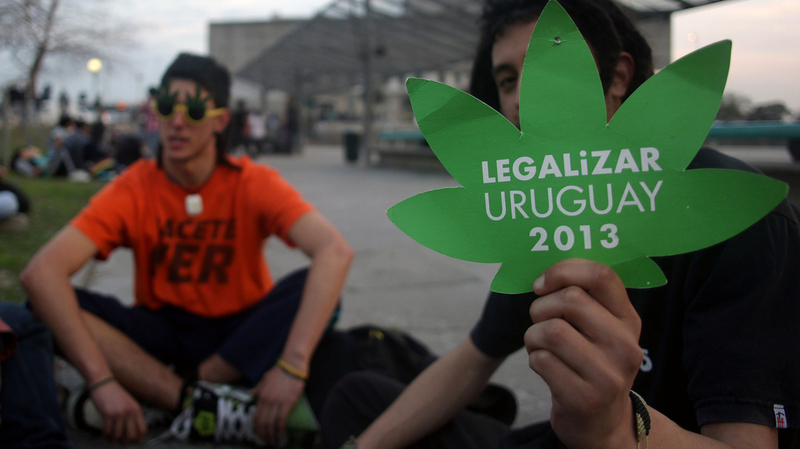 "Uruguay is set to become the first nation to produce and distribute marijuana. The measure specifies that the government will control marijuana imports, planting, cultivation, harvesting, production, storage, marketing and distribution. "The plan has the backing of the left-leaning president, who says it's vital to find new ways to fight drug trafficking."